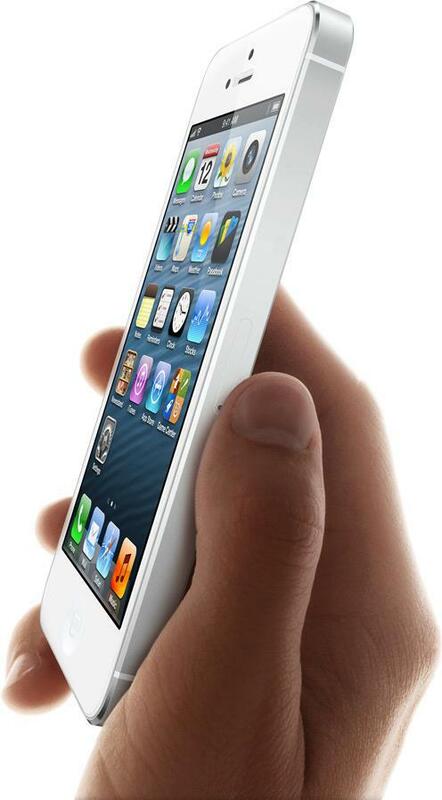 Apple iPhone 5, which will be launched in India on November 2, will be priced at Rs 45,500 for the entry-level 16GB model. The 32 and 64GB models will be sold at 52,500 and 59,500 respectively. The prices have been shared by Redington, one of the two distribution partners of Apple in India, in the country and are in line with the unconfirmed price range that TOI had earlier reported. Redington and Ingram have also confirmedTOI's Friday report that Apple is set to launch the iPhone 5, its latest smartphone, in India on November 2, 2012. Apple has joined hands with Redington and Ingram Micro to distribute its flagship device in the country. This is a departure from Apple's earlier strategy of partnering with telecom operators like Airteland Aircel to retail the phone in India. Redington and Ingram Micro already distribute iPad and iPods in the country. Considering that the device will not be tied to a few telecom operators only, most telcos in India have readied their stocks of nano-sim cards which can be used only in iPhone 5. As reported by TOI on Thursday, besides online site Infibeam, another online retailer Saholic has begun taking pre-orders for the 16GB variant of iPhone 5 at Rs 45,500. Infibeam had started taking advance bookings at Rs 5,000, while the remaining amount will be collected at the time of launch. Apple is yet to launch the unlocked version of iPhone 5 in the US, its home country, and only sells the device with carrier partners like AT&T, Sprint and Verizon.